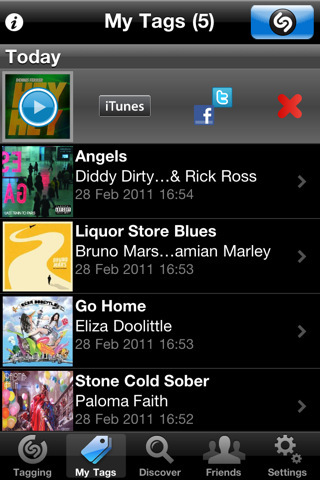 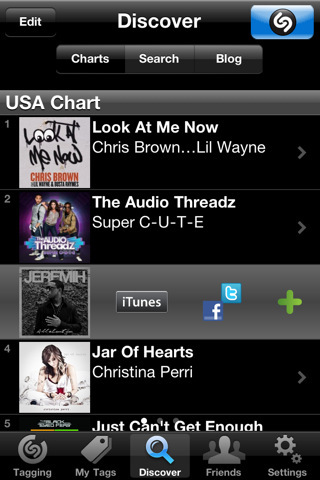 Shazam Update Lets You See What Music Your Friends Are Tagging - iPhone.MY - Daily News On Mac, iPhone, iPads, iPods and more! 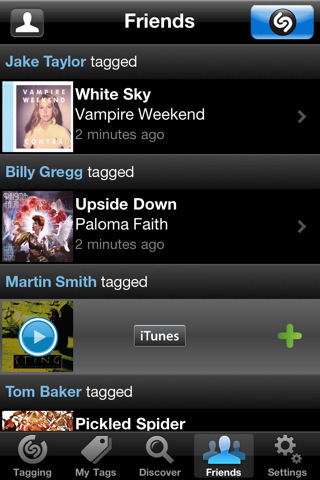 Shazam Friends: See what your friends are tagging – listen to previews of their tags, buy the track, watch videos and more! 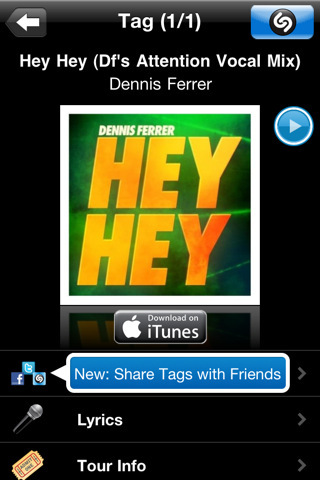 To get started Shazam will find your friends through Facebook and see who’s already sharing their music on Shazam. 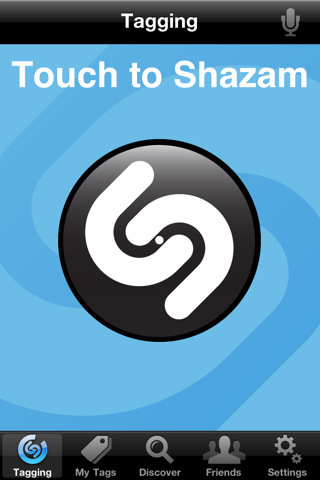 You can purchase Shazam Encore from the App Store for $5.99.